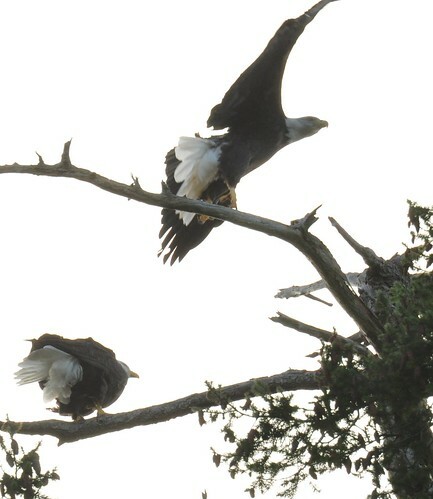 BOTH eagles have nicks out of their long flight feathers. 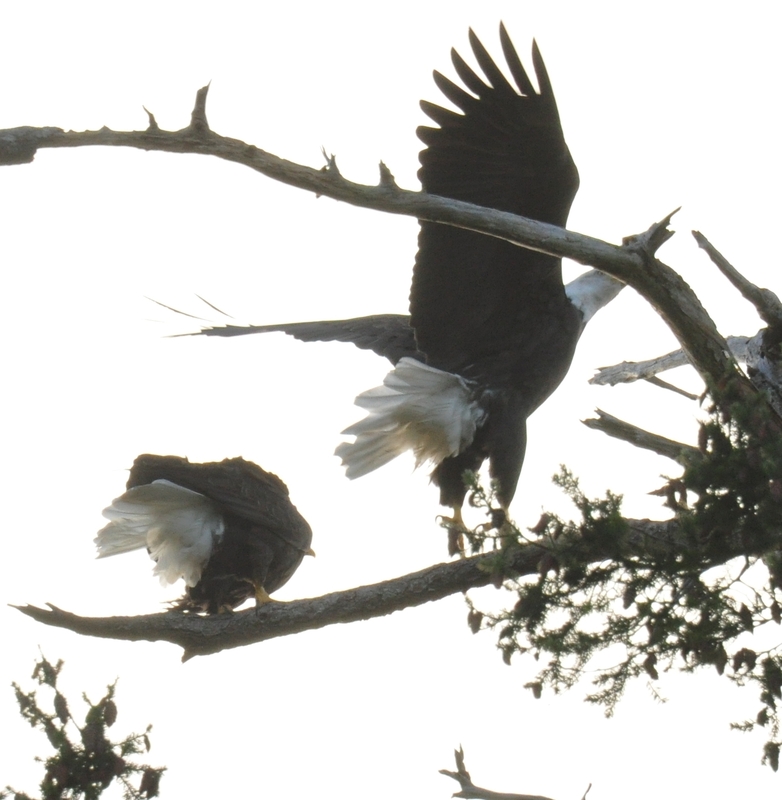 You pointed out the nicks when the first one left the nest. 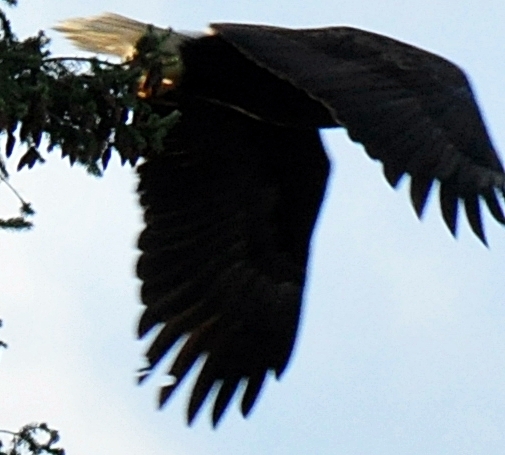 When the second one left, you can see the same thing in the photo with the sunlight catching the feathers at 14:46. Standing on the close up camera. Taken from the back side of the nest. I couldn't follow that from your posts. 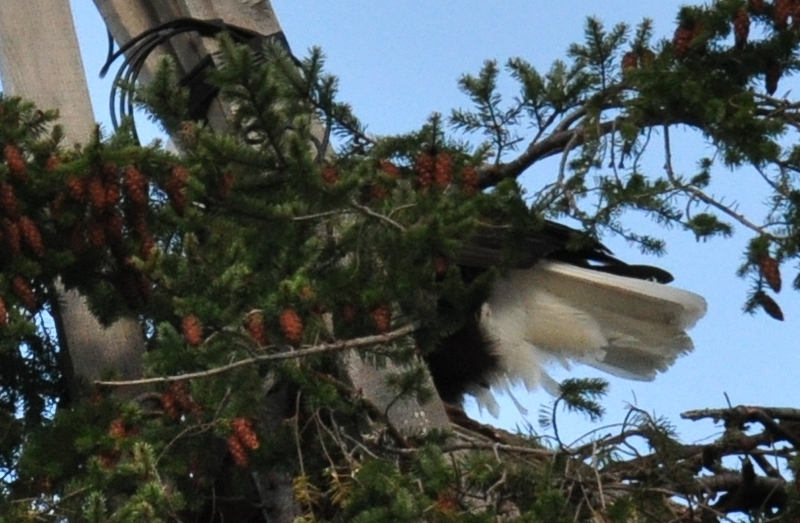 So, did the one that left at 14:24 come back to the nest and leave again? The first fotos are of the eagles in the nest, then there is a second set, showing the feather tips, where the eagles are in a perch tree away from the nest. ETA i see what you*re saying Blue. How can they BOTH have the same chips in the wings. Maybe the first one DID come back to the nest then. i may have missed that. 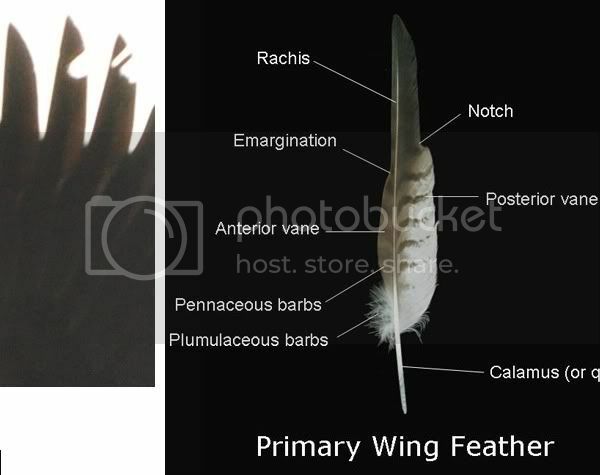 For comparison, this is the structure of the primary feather, beside an inverted/flipped close-up of the feather bites. 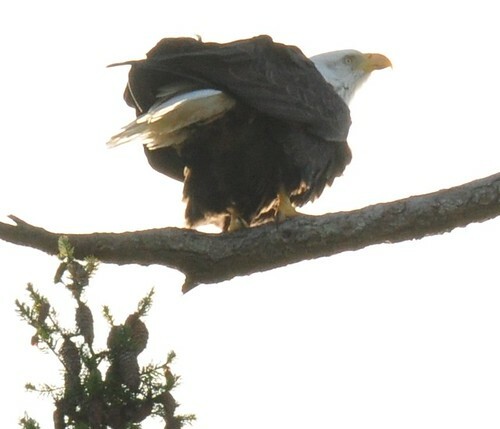 NOTE: several wildlife rehabbers have looked at the photos. No conclusions have been drawn because this might not be what it looks like. However, if this is damage, it is not at all a problem for the bird! 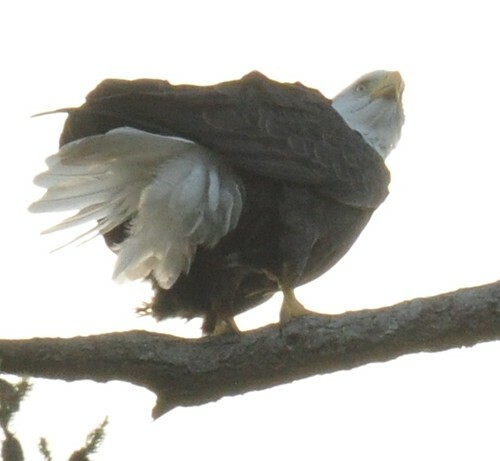 Birds very frequently fray or damage a feather. The bird is flying beautifully. Wonder who's observing who? People studying the eagles or the eagles studying people? Absolutely wonderful captures today boonib! I, too, love the light thru the wings. Fly off was great too. Keep them coming. I am so envious. Wonderful pictures and comments, Boonibarb. Especially visiting you at home! What a delightful surprise for you!